I was checking out a thread on Namepros where a couple members seem to be rather upset with enaming.com. Apparently the site is just listing names for sale where the owner gave them no authority. You need to ask people if they want to be on your site. I spoke to Mike Berkens who did say he gave permission to enaming on a non exclusive basis. 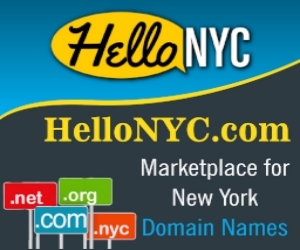 The Owner Of This Domain May Be Willing To Entertain A Sale Or Other Proposals. According to Mike Berkens he did not give anyone exclusivity. We recently found one of our domains 50yearwater.com listed without our authorization as well. What we find disturbing is that the eNaming website shows up in search results when looking for our website name and now people might get the impression that we are in the process of abandoning our domain name, website and business because ‘it is listed for sale’ on their website. What eNaming and Tracy Fogarty do is harmful to the individual businesses that find themselves listed ‘for sale’ without their knowledge and authorization. We are in the process of getting legal advice on this situation to find out if the overall business model used by eNaming (listing items for sale that are not actually available) is even legal. After all, I can’t just list your house for sale and then knock on your door when I have a buyer for it. Those are scam tactics in our opinion and we feel that anyone who finds themselves listed on their website as ‘for sale’ without having given permission, should consider getting legal advice as well, if they feel they could suffer financial harm by having customers become reluctant in doing business with you as a result of the unauthorized for sale listing. I looked at the site and see some of my names on there, a couple which have been accepted by BrandBucket and they require exclusivity, so this is a problem if they are showing on enaming.com. There are also potential UDRP concerns, and the $10,000 min offer, I have names listed I don’t want $10,000 for so this is not cool saying offers below $10,000 will be discarded. 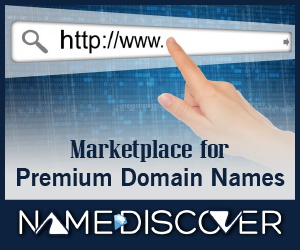 Some of the more notable names for sale on enaming include the popular blog by Elliot Silver, DomainInvesting.com, DNW.com which redirects to DomainNameWire.com and parking sites Voodoo.com and Bodis.com. This needs to get fixed as it does not look good. I am sure enaming may feel like the names are listed for sale other places, but that is not always the case. Secondly I entered into an agreement with Sedo and Go Daddy, I know what their commission is, what if a name got interest from enaming ? I have agreed to nothing, not because I wouldn’t do business with them, I did not know my names were on the website. Rightly said and that’s not the way of doing business. Enaming needs to fix this as soon as possible. Thanks for the heads up as I will have to check my domains as well on their site. Thank you for this post this is not cool at all where were the big dogs on this, where’s Mike Berkens on important stuff like this ? Where is the Sherpa ? @josh LOL the big boys ? 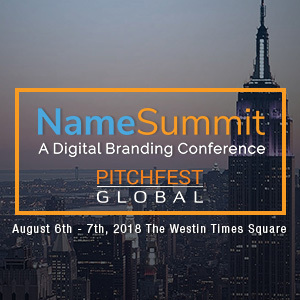 Have their names on the list, domaininvesting .com listed for sale on some random site. that’s hilarious. Aside from the issue of them listing domains that are not really for sale, are they charging the seller a commission for any sales that happen from their site? I see on their site they act as a broker for their exclusive listings, but it is not clear what happens for listings that they copy from other sites. Sorry for any inconvenience to anyone.. We are redoing eNaming.com website and my tech team said they did not set a privacy flag for internal to external db, so all internal data ended up searchable. We will get this fixed ASAP! Tracy, you should not have anyone’s domains on your “internal” data but your own. Hope to hell I dont find any of mine on your “internal” db with the “privacy flag” not set. I was just on DomainInvesting.com and posts are mentioning you. I checked and my domains are being listed on your site without permission!